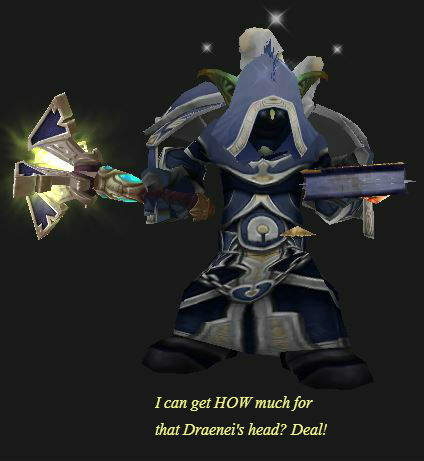 Discipline Priest PvP Professions – A little added bonus to your power. In Warlords of Draenor you Hit, Expertise, PvP Power, and Resilience are gone. Any abilities modifying any of those stats, including racial abilities, have been removed. PvP gear now has two item levels (eg: 660/690,) instead of PvP Power. This first number is for PvE, the second for any PvP you do, whether it’s World, BG, or Arena. This will make PvP gear better than PvE gear in all PvP situations. Various other Priest changes are here. There are no “Mandatory” stats for Discipline Priests. Intellect increases your spell power and chance to Crit with spells, it does nothing for mana pool or mana regeneration. Increasing Intellect will increase your healing throughput and your heals will return more health to your target per spell. Discipline Priests benefit from Shield Discipline, which increases the effectiveness of all damage absorb shields (Divine Aegis, Power Word: Shield, Spirit Shell, and Angelic Bulwark) – a very large portion of a Discipline Priest’s “healing.” Mastery also increases actual healing done as well, giving Mastery a significant boost to performance compared to previous seasons. Holy Priest Mastery puts a small HOT on the target and it’s not nearly as much as as Crit and Haste. Spirit increases the rate at which mana regenerates. Currently, mana efficiency is decent when in full gear, but can become scarce in a hurry if you have to use expensive spells, such as Flash Heal frequently. Spirit helps to ensure your mana pool is not depleted over the course of a PvP encounter. How much Spirit depends on your game. If you’re ever running out then get more. Otherwise get more Int. or other stats. Haste reduces the cast time of your abilities and reduces the duration of the Global Cooldown (the minor cooldown that is invoked after casting spells). Haste helps to ensure your important spell casts go uninterrupted, an important factor in PvP, as there are several interrupt mechanics in the game. There is always something a priest can be doing – Haste allows you to chain your abilities in rapid succession. One benefit of the Global Cooldown reduction comes when trying to Shadow Word: Death incoming Crowd Control. Many times you will Power Word: Shield your target (as an example) and you’ll notice the enemy Mage casting Polymorph just as the shield lands. Stacking Haste makes it more likely you’ll be able to cast Shadow Word: Death and break the Crowd Control effect, potentially saving you and your teammates from defeat. Holy especially likes Haste when it hits certain breakpoints, which will give you extra ticks from your Renew spell. Those breakpoints are 12.5 and 16.7%. Inbetween breakpoints your Haste is not that useful. Critical Strike, or Crit, is a decent stat for a Discipline of Holy Priest due to the fact that shields and heals can both crit. Critical Strikes do increase your healing by a significant margin, both through absolute healing numbers, along with Divine Aegis procs mitigating further damage. In Season 15, however, Critical Strike chance is actually quite low for Discipline Priests and not worth the sizable secondary stat allocation to achieve Crit levels worth the loss of other stats. There is no PvP gemming. Move to the next section. Gem sockets do appear, rarely, on PvE gear. Currently they do not appear, at all, on PvP gear. If you’re not yet in Draenor PvP gear or you’re using PvE gear, then the info below might apply, otherwise just skip down to Enchants. Basic Gemming to match for socket bonuses, you definitely want to match sockets that have Int bonuses. Versatility Taladite: +35 VersatilityThe 35 point gems are far less expensive than the others. PvP Enchants are available, unlike gems. Short on gold? As with the gems, some enchants can be very expensive. If you want to buy the best enchants, fund all of your alts, donate to the guild, etc., but don’t have the cash, then see what the Tycoon Addon can do about about fixing your poverty. Lesser enchants are shown in case you’re still leveling. Upon achieving level 90, we do NOT advise you to just jump into an Arena, or start grinding Battleground’s, or do any sort of PvP for that matter fresh off of leveling in your leveling items. Chances are many of the enemies in a Battleground will significantly out-gear your fresh level 100, which means they will have a significant advantage over you in a PvP setting. See above for enchants. If you need the gold to buy this stuff (and it’ll likely be cheaper if you have a guild member make it) then go here. The following items are unchanged from season 14. Get them if you’re doing 90ish PvP, otherwise just continue leveling. Gloves are a solid first acquisition. Although the stats may not be the highest available, many Priests argue that the reduced cooldown for Psychic Scream is well worth the lower stat levels when compared to other items. Tip: It is normally much cheaper to get the materials for these items yourself and have someone craft them for you, rather than buying them off of the Auction House. Even if you just buy the materials off the Auction House and spam trade, it’s normally cheaper. Always check first for good deals on the Auction House, though! There is no Warlords Crafted PvP gear, as of Warlords Season 1. Get a Crafted Malevolent Gladiator’s Medallion of Tenacity, if you don’t already have something similar. Human Priests, of course, don’t need one. At 91 you can buy a crafted ilevel 630 gun and two pieces of 640 armor (head, chest, or legs, pick two.) You can also buy items to reroll stats on those pieces. Upgrading those items, by up to 25 points, can be done but is very expensive. Should I get the Honor Gear First? Your call, but jumping into area wit a full set of honor gear will be less painful than jumping into it with leveling gear. You should at least have the ilevel 600+ gear mentioned above. If you do PvE as well as PvE then use your equipment manager to swap PvP and PvE gear. Just say “no.” Why? PvP gear has two ratings, one for PvE encounters, the other for PvP. The latter is much higher and applies to any PvP situation. 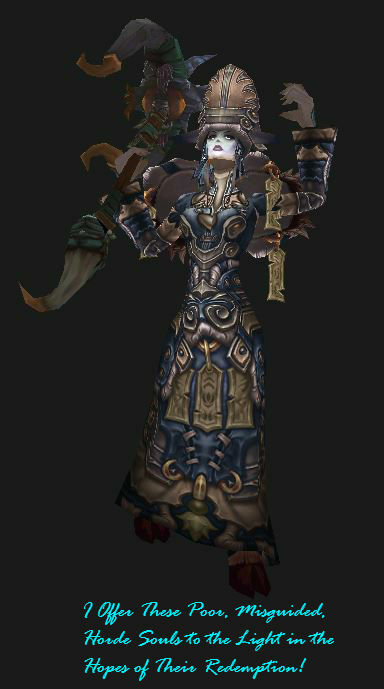 For example, the honor piece Primal Combatant’s Robes of Prowess has a 620 item level and a (675.) In your dungeon it will be ilevel 620, but in the BG or arena, it’ll be 675. This is better than any PvE gear you’ll find in Warlords season 1. Also, the PvP trinket pair gives you a set bonus: you get 10% damage reduction if you have two PvP trinkets. PvE gear is uprated to 650 in instanced PvP (BGs and Arena.) Higher level PvE gear doesn’t change. If you have a 665 PvE item it’ll be 665 in the arena, but the honor piece will still be 675. Your PvP gear comes in three flavors: Primal Aspirant, Primal Combatant, and Primal Gladiator. Pieces of the first two can be found in strong boxes won in events or the BGs. Combatant and Gladiator gear can also be bought with your honor or conquest points, respectively. Strong boxes come in Bronze, Silver, or Gold and might hold gold, honor points, and/or and item. Winning the BG or event will get you a gold box, otherwise you will get a bronze or silver depending on how well you team does. If it gets wiped out then you will get no box. Primal Aspirant is the basic PvP 600/660 and is found only in those boxes. It cannot be bought. This gear can be (randomly) won as “Warforged” which will add 6 levels. Primal Combatant is the PvP Honor Gear and can also be found in those boxes, as well as be bought with honor points. it’s 620/675. This gear can be (randomly) won as “Warforged,” when found in the boxes, which will add 6 levels. Primal Gladiator is the Conquest gear. It’s 660/690 and cannot be Warforged. In prior seasons all the PvP gear, crafted or otherwise, came with a set bonus and, for most slots, only one item choice was available. 2 piece set (Discipline): Penance now increases the movement speed of a friendly target you heal by 30%, and decreases the movement speed of an enemy target you damage by 50%. 4 piece set (Discipline): Reduces the cooldown of Pain Suppression by 60 sec. 2 piece set (Holy): When Prayer of Mending heals a target, you and the target gain 130 Versatility for 10 sec. Stacks up to 5 times. 4 piece set (Holy): Reduces the cooldown of Guardian Spirit by 60 sec. 2 piece set (Shadow): When Dispersion ends, you gain 1950 Versatility for 10 sec. 4 piece set (Shadow): Shadow Orbs spent on Psychic Horror are refunded at a rate of 1 Shadow Orb per 3 sec. Escape trinket, if you don’t already have one. You can buy one off the AH (Crafted Malevolent Gladiator’s Medallion of Tenacity,) so there’s no excuse not to have one. Unless you’re human, and then it’s Ok. Profession bonuses are all dead in Warlords of Draenor. For rated PvP there is little value to them. For any unrated PvP it’s a bit more interesting. Engineering: Nitro boosts rockets, shields, gliders, a stealth device, and more. Can’t use ’em in RBGs or Arena, but you can every where else and you can ship ’em off to your allies and alts. Alchemy for all kinds of useful potions and a very nice trinket. Inscription for all your glyphs, starting caster weapons, and various other useful things. We hope this Priest PvP Gear gudie answers every question you’ve ever had about Priest Gear for Season 15, and is used as a reference point for your quest to obtain the best PvP gear out there. Let us know if we missed anything, or if there is something you need cleared up in the comments below, and we’ll be sure to get back! Please let us know how the article was. Were we missing anything? Do you have any further questions? Was the format useful? We always want to improve our articles, and your feedback helps! Also, please Like/Share/Comment if you found this page useful. Improve your skills, Pwn at PvP. nice guide, just missing 1 key item in the list, what about the race pick? Was gonna say that’d be in the regular guide, this one being just gear and stats, but I see I did not include that in the Priestly PvP pages at all. I’ll have to update that. Thanks.